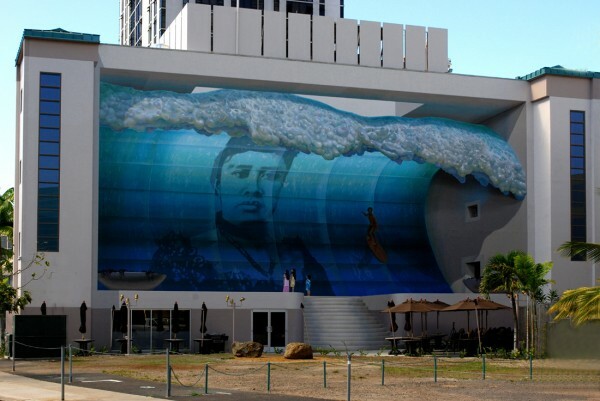 This mural is located on the east side of the Lani Nalu Plaza building in Honolulu, Hawaii. The entire scene is painted on a flat wall. 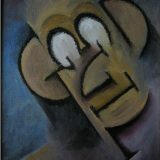 The stairs, children, and wave are all part of the illusion of depth.